It’s been two months since McDonald’s began offering an all-day breakfast menu — which includes most popular early morning items, but not everything — nationwide. A new report indicates that the idea has been successful in luring back some lost McD’s customers, but not so successful that we’ll all be able to get McGriddles on our way home from work. A new study from the NPD Group [via WSJ.com] found that 1-in-3 people who purchased McDonald’s breakfast during the afternoon or evening hadn’t eaten at McDonald’s at all in the previous three months, indicating that the chain is either luring in new customers or wooing back some who had given up on McD’s. 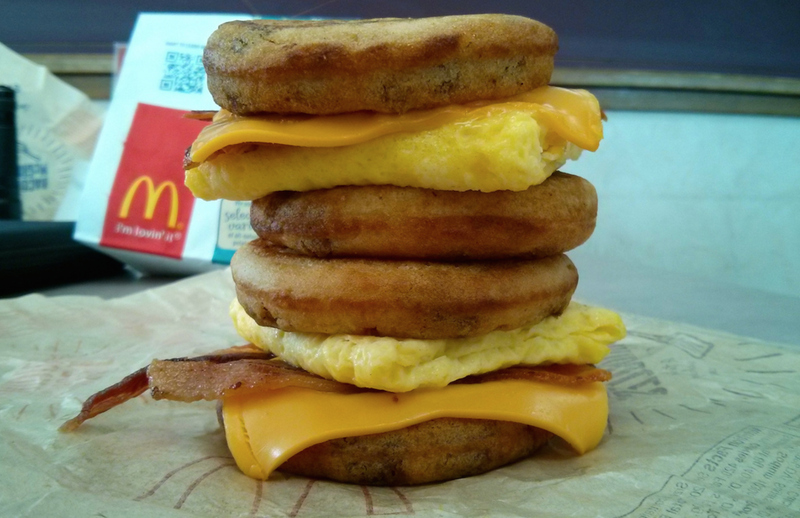 The lunch hours appear to be the biggest time for people to chow down on McMuffins and the like. Interestingly, 61% of the receipts that include breakfast items also include non-breakfast food. NPD research also indicates that the size of McDonald’s lunch receipts since the offering of all-day breakfast has increased. That could mean that the offerings are bringing in people to eat with their friends, family or co-workers, who may have gone elsewhere because they don’t like McDonald’s non-breakfast foods. While these results are promising — at least in the short term; no telling if these afternoon breakfast customers were happy enough to make McD’s a regular thing again — it doesn’t mean McDonald’s is yet willing to take the risk of offering the full breakfast menu at all hours of the day. BurgerBusiness.com noticed that a McDonald’s franchisee in North Carolina was Tweeting customers to say that the full menu would be offered “in the future,” but if so, that’s news to McD’s HQ. The company tells Burger Business that there are no nationwide plans to offer the full menu. However, if a franchisee wants to try it, that’s up to them.